Sometimes, all it takes to get you into the Olympics are good genes and a bit of stamina. 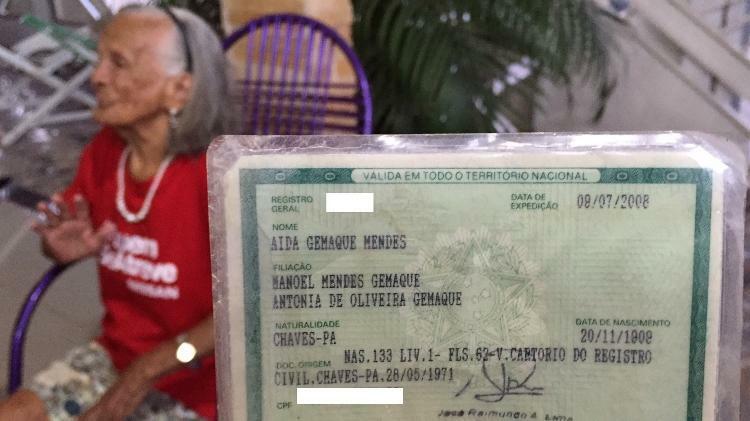 At 106, Aida Mendes, known as “Grandma Iaiá," lit an Olympic cauldron Thursday after taking part of the torch relay through the northern Brazilian city of Macapá. Momento emocionante!! Vovó Iaiá acende a pira de cerimônia no meio do mundo. She's thought to be the oldest torchbearer in Olympic history, according to the Olympic and Paralympic Organizing Committee for Rio. The second-oldest torchbearer was Aleksander Kaptarenko, who was 101 when he participated in the 2014 Sochi Olympic torch relay (and, as NBC Sports astutely pointed out, trained for his leg by carrying a frozen salmon). The Olympic flame for the 2016 Games was lit in Athens in April. It will continue to travel across the nation until it reaches its destination at the Aug. 5 opening ceremony in Rio de Janeiro's Maracana Stadium.